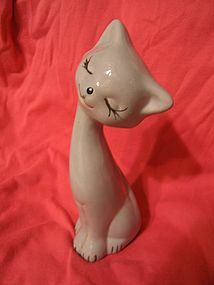 Vintage long neck cat figurine measuring 6 3/4 inches in height. This is the female of a courting set. There is no damage. The male counterpart is available and priced individually. I need your zip code to calculate the postage.